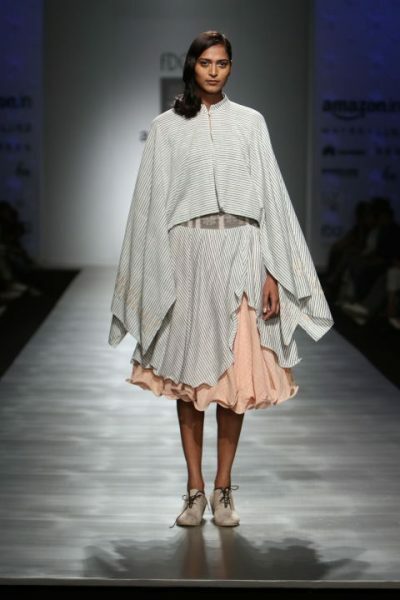 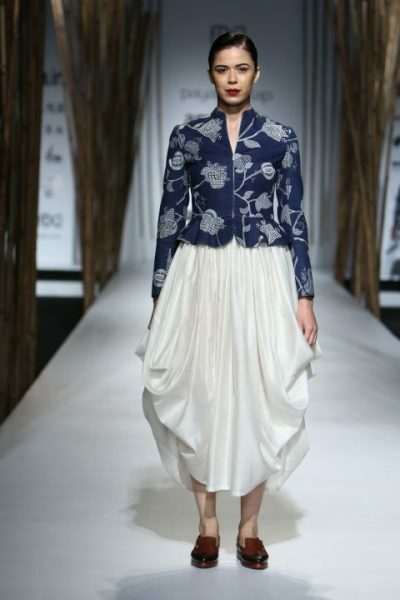 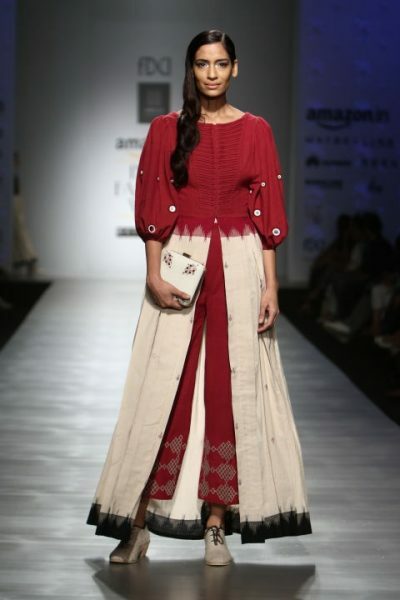 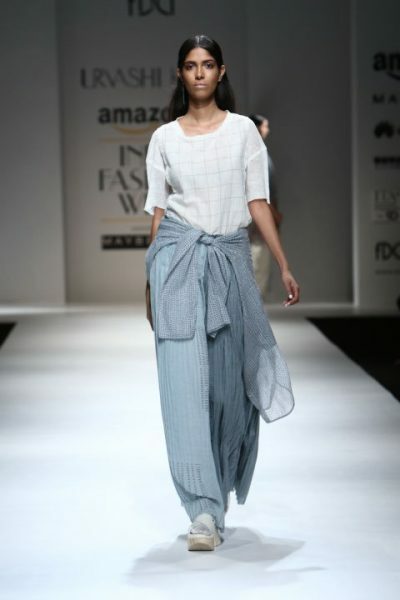 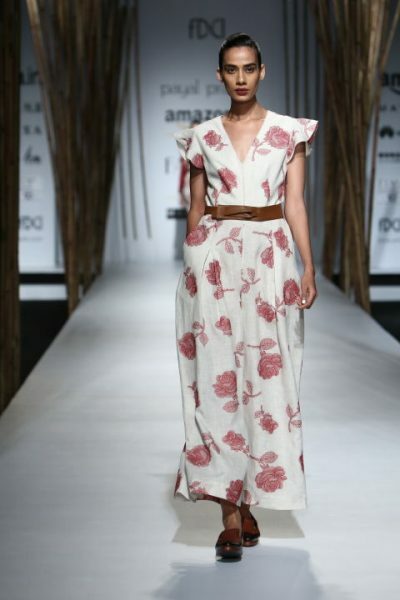 We thought to make you skip the folders of outfits that were showcased by some of our favourite designers and rather show you some of the best designs that we came across in the first two days of Amazon India Fashion Week Spring Summer 2017. 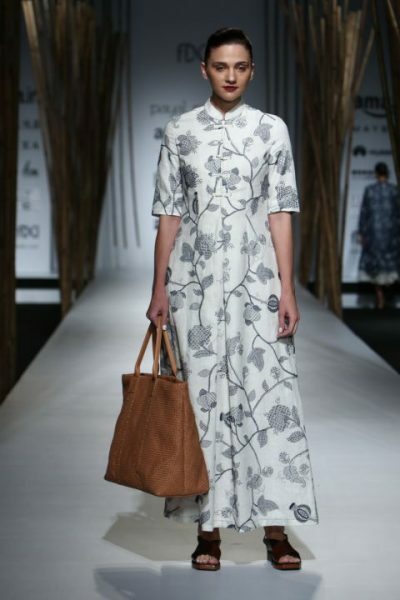 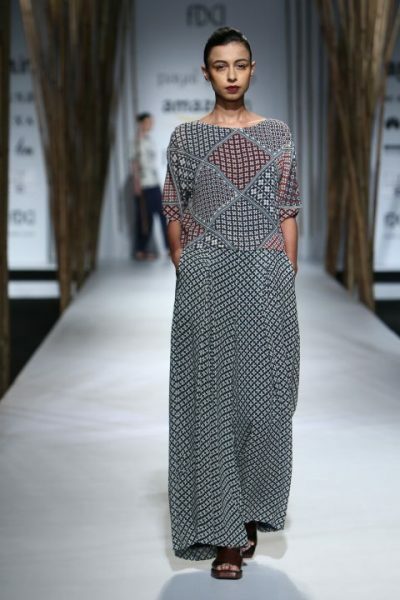 An outfit showcased by Raw Mango for the campaign : Roads to Chanderi. 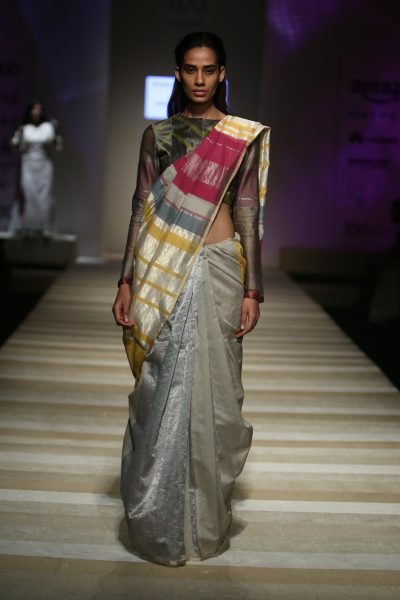 An ode to the real Chanderi fabric.